Regulatory bodies across the globe are calling for reduced animal testing and use of emerging alternative technologies while simultaneously requiring greater substance toxicity evaluation and characterization than ever before. Predictive toxicology describes a multidisciplinary approach to chemical toxicity evaluation that uses a suite of non-animal testing methods to forecast the effects of a chemical on biological systems. This approach offers advantages to traditional hazard assessment methods, such as reducing the reliance on lengthy animal studies and associated costs. 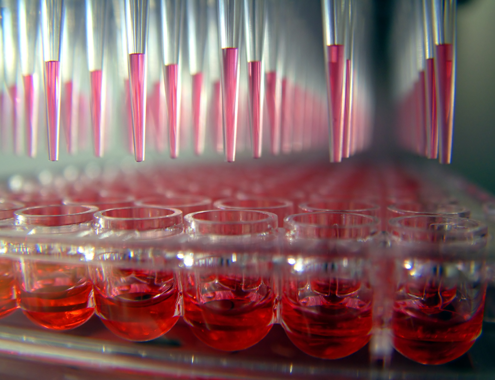 Gradient's predictive toxicology services include the use of iterative read-across strategies, evaluation and interpretation of available in vitro toxicity data, application of in silico computational toxicology programs (e.g. expert rule based programs, and quantitative structure activity relationship programs [QSAR]), and pathway-based toxicology for predicting unknown chemical toxicity. We apply read-across methods for chemical toxicity assessment and use predictive software programs such as EPI Suite, Derek Nexus, Toxtree, and the OECD Toolbox for hazard characterization and interpretation. In addition to these in silico tools, Gradient also assists clients with interpretation and application of other 'Next Generation' risk assessment methods, including high throughput in vitro testing, and adverse outcome pathway (AOP) and mode of action (MoA) analysis. Predictive toxicology approaches can be tailored to meet specific client goals for a given assessment and have applications in environmental and human health risk assessment and chemical hazard identification, as well as for safer product design, pharmaceutical safety assessment, and regulatory compliance or comment. Gradient assisted a wearable consumer product company in evaluating potentially leachable chemicals for a specific toxicological endpoint. When chemical specific data was lacking, we evaluated possible chemicals for toxicological read-across. Gradient employed various in silico programs (e.g. Derek Nexus, Toxtree) to provide support for a weight-of-evidence hazard and risk assessment conclusion for chemicals with conflicting data. We also helped identify potential substitute materials for future product development. In support of hazard assessments conducted for the purposes of regulatory compliance, Gradient identified chemicals suitable for read-across for over 700 substances when chemical-specific data were unavailable. To leverage the breadth of the chemical portfolio, we established chemical groups based on structural features and/or functional use. Gradient developed a screening protocol to evaluate ecological risks from societal use of personal care products. The protocol relied on appropriate QSAR models and toxicity databases, and enabled rapid screening of large numbers of organic and inorganic product ingredients without the need for additional experimental data. The protocol is used to identify ingredients with the potential to pose environmental risks. In coordination with the Humane Society of the United States (HSUS), Gradient provided written comments to US EPA regarding the draft chemical prioritization and risk evaluation rules, including the use of alternatives to animal testing for chemical hazard evaluation. We provided a framework that articulates the purpose and merits of alternatives to animal testing, and the types of non-animal tests that US EPA will recommend. Gradient updated a toxicity and risk evaluation for naphthalene, incorporating naphthalene toxicity assay information from US EPA's ToxCast database and applying a naphthalene physiologically based pharmacokinetic (PBPK) model to determine naphthalene inhalation concentrations for humans that would lead to the relevant activity concentrations in the ToxCast assays. We compared these inhalation concentrations to typical naphthalene exposure concentrations in the population. Our analysis will be useful in review of US EPA's upcoming revised toxicity and risk assessment for naphthalene. Explore related information in the Evolving Issues Next Generation Risk Assessment section of our website.